This was Stan's last solo film. 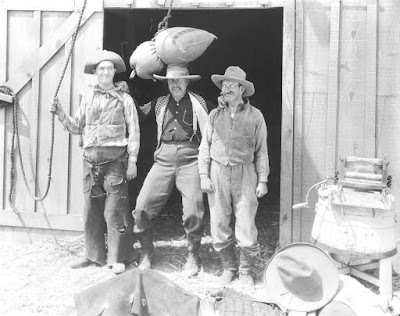 Previewed under its working title ("Cowboys Cry For It"), the film was severely recut (eliminating Eugene Pallette along the way) before being released. 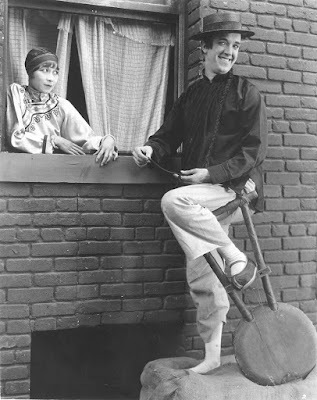 The film originally was intended to be the pilot film for a series of "Paprika Pete" western comedies starring Babe Hardy as Pete. MANDARIN MIX-UP (Joe Rock, 1924). Stan plays a Chinese laundryman and the film has an opium gag.... not the most politically correct film Stan ever did. RUPERT OF HEE HAW (Roach, 1924). One of Stan's "travesties", that is parody. This is, obviously, a play on "Rupert of Hentzau". 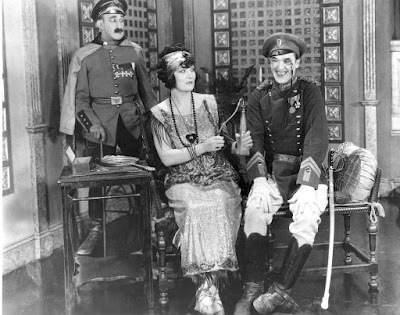 Also pictured are Mae Laurel (his then common law wife) and the ever brilliant James Finlayson. Moving Image Curator at the Library of Congress. Former Associate Curator at the UCLA Film & Television Archive and former Curator at the USC-Warner Bros Archive. Laurel AND Hardy.... but not together!